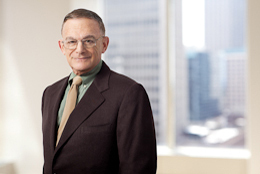 Over the course of his career spanning more than 50 years, Stephen Axinn has represented many of this country's leading corporate and individual clients in a wide variety of precedent-setting cases in trial and appellate courts throughout the nation. He also has counseled clients as to the antitrust aspects of many of the most significant merger and acquisition transactions in the past thirty years. Steve is also an experienced antitrust criminal defense attorney. For many years prior to forming Axinn, Steve headed the antitrust and trade regulation department at Skadden, Arps, Slate, Meagher & Flom LLP. He is the author of a number of scholarly articles on antitrust subjects. He co-authored the definitive treatise on the Hart-Scott-Rodino Antitrust Improvements Act, published by Law Journal Seminars Press. Represented Bauer Performance Sports, Ltd. as U.S. antitrust counsel in its $330 million asset acquisition of the Easton baseball, softball and lacrosse businesses from Easton-Bell Sports. Represented Ecolab in its proposed acquisition of Permian Mud LLC and Optical Distributor Group in its acquisition by ABB Concise. Successfully represented Zuffa LLC, the owner of the Ultimate Fighting Championship, Mixed Martial Arts promoter in connection with an investigation by the Federal Trade Commission. Served as lead counsel to Bemis Company in connection with its acquisition of the assets of Rio Tinto’s Food Packaging Americas assets. Successfully defended on appeal to the Second Circuit Court of Appeals dismissal of an antitrust action against his client, the health insurance company, GHI in connection with its combination with HIP. Lead counsel to Ball Corp. in its acquisition of certain Anheuser Busch Inbev aluminum-can manufacturing assets. Represented Mastercard International’s Board of Directors in connection with the antitrust aspects of the design of the initial public offering of Mastercard securities. Represented BellSouth in the merger with AT&T. In 2005, he successfully represented GameStop in its acquisition of Electronics Boutique and Movie Gallery in its acquisition of Hollywood Video.